A new celebratory birthday steak dinner for dogs goes on sale! Children aren’t the only ones being lavished with extra special birthday celebrations as new research reveals 75% of pet owners celebrate their dog’s special day, highlighting the booming trend for treating our furry friends as family members. A new study by Lily’s Kitchen, Creators of proper food for pets/ or who make proper food for pets, found that over half of doting dog owners admits to throwing a birthday bash for their pup, and nearly 60% howl out the iconic ‘Happy Birthday’ musical number (58%) to their dogs on their special day. Pooch parents are happy to splash the cash when birthdays roll around, with almost two thirds (64%) of those surveyed spending more than £10 on gifts and decorations, making sure their hound has the celebration it deserves. When it comes to the all-important birthday meal, more than half of owners (55%) prepare a special birthday feast for their canine companion, based on their own favourite meal. Meat loaf, fish cakes and chicken stew are just a few homemade doggy dinner favourites. This increased humanisation of our four-legged friends has led to a growing demand for more occasion- based pet products, including celebratory dog meals and treats made with premium ingredients. 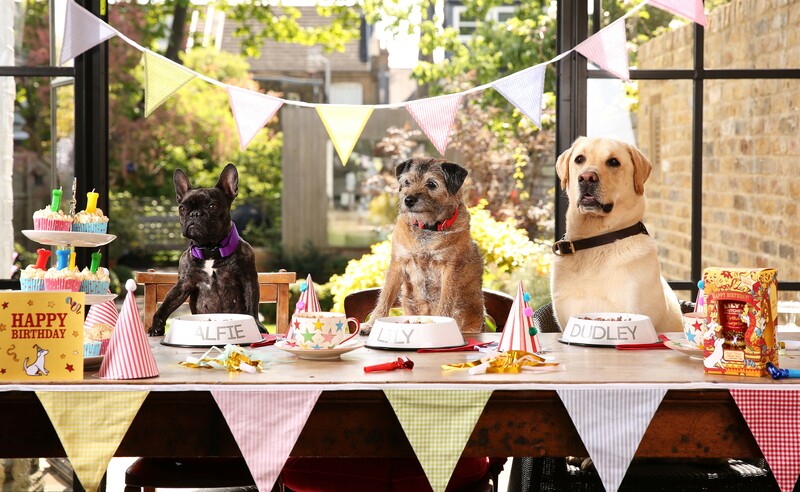 Lily’s Kitchen has responded to pet parents wanting to celebrate their dog’s “adopted day” or birthday with the launch of ‘Birthday Surprise’; the first ever party-perfect meal for dogs made from three different fresh cuts of steak, potatoes, broccoli and herbs. According to the study, spoiling our dogs on their birthday is all part of the deep “emotional connection ” we have with them; 41% of pet owners say they celebrate because “their dog is part of the family” and one in eight people feel that “their dog is like their child”. Henrietta Morrison, Lily’s Kitchen Founder and CEO said: “Our dogs are family and they deserve to have the best day ever on their birthday. And steak dinners usually mark a special occasion for humans so what better way to celebrate than a nutritious doggy equivalent. The trend that sees us treat our dogs more like the rest of our family can sometimes end up in owners indulging their pets with harmful foods such as cake on their birthday, but we urge all owners to serve up proper food that’s safe and deliciously nourishing”.